HIT IT: Warren Kimlin batting for the over 60s team. 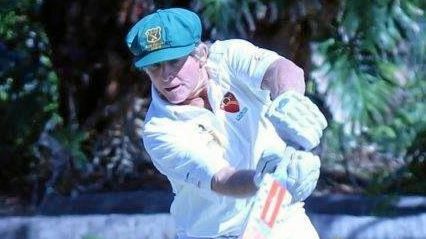 CRICKET: Lockyer Veterans over 60s second division played to their advantage on Saturday, but slow and steady wasn't enough to win the runs chase. Toowoomba went in to bat first and made use of Lockyer's loose bowling to score at seven runs an over for the first 15 overs on a slow pitch at Ropehill. But the Lockyer bowlers improved their accuracy in their second spell, keeping Toowoomba to 8/231. 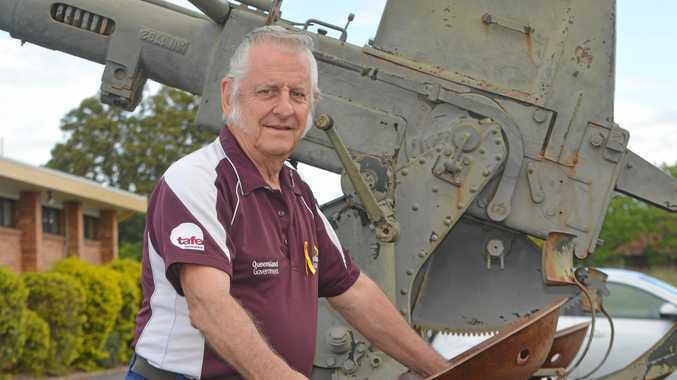 Lockyer cricketer Mike Nowlan credited captain Col Taylor on his leadership of the team. "Captain Col Taylor handled the bowlers well, ensuring that 10 bowlers got at least three overs each,” Nowlan said. The main wicket-takers for Lockyer were Taylor who took 3/28 and Col Turner with 3/18. In the run chase, Lockyer's openers were slow, averaging just above one run an over. But the score was nothing a strong batting trio couldn't fix. Lockyer batsman Warren Kimlin crashed 40 off 29 balls, Ken Suthers made a stylish 37 off 40 balls, and Bruce Linnan 22 off 17 balls. The final score for Lockyer was 9/172. The Lockyer Veterans over 50s second division side also took the field against the Gold Coast on the weekend, but the result was just as disappointing. Lockyer went in to bat first and after 15 overs were held to 4/46. After 39 overs Lockyer scored 142 runs. The Gold Coast claimed the game with a hard fought 8/143 with five overs to spare.